University of Maiduguri Remedial Arts and Science to 100 Level / Degree Admission List of Candidates Offered Provisional Admission for 2018/2019 Academic Session - Download UNIMAID Remedial to Degree 1st, 2nd & 3rd [Final] Batch Admission List in PDF 2018/2019. 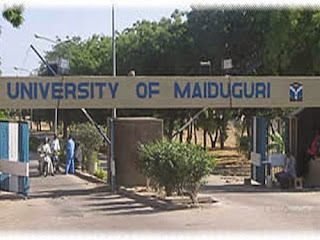 Authorities of the University of Maiduguiri, UNIMAID Directorate of Remedial Programmes has successfully released and uploaded the remedial admission list for 2018/2019 academic session. NOTE: All Admitted Remedial candidates should check the Remedials Office for their placement.